Without Rubu Bukur, I am completely lost. Two rows of eerily quiet houses snake along both sides of a dusty road. This is Lempia village in the Apatani valley of Arunachal Pradesh. Over the next few days, Bukur will become my interpreter and guide to the valley. But today, my first morning here, I am all at sea. It's time to summon up the basics that I have gleaned before setting out for the region. The valley is 1,524 metres above sea level; it's located at 9348'-9352 e longitude and 2732'-2737' n latitude. The recollection does not help bring much familiarity with the region, but in a guide's absence, it's a beginning nevertheless. The area is sandwiched between the Kamla and Khru river valleys in the north and the Palin valley in the south. It's hard to believe that I am really in Arunachal Pradesh. Till date, the images that I have seen of the state have been, stereotypically, of densely forested high mountainous regions. But this is a valley: at a great height above sea level, but a valley nevertheless, as the early morning January winds remind me. In the heart of the Apatani valley is a township called Ziro, also the district headquarters of Lower Subansiri district. Like much of Arunachal Pradesh, the district is predominantly mountainous tract, consisting of steep foothills that skirt the Brahmaputra valley's edges. While the foothills are clad in tropical rain forests, the middle regions of the district are clad with rhododendrons and alpine biotic wonders. This natural formation determines Lower Subansiri district's agriculture: jhum or slash and burn. But not in the Apatani valley: embedded in hills that rise up to 2,400 metres, the oblong valley is home, not to jhum, but to arguably the most intensively managed wet-rice cultivation in the world. The Apatanis occupy a small patch:about 26 square kilometres. Beyond this little patch live the Nyishis and the Miri. But unlike them -- and many other tribal communities in the northeast -- the Apatanis have access to relatively small tracts of forests and hills. Stacked into a small area, the community manages space by designing compact homesteads. Unlike the rest of Arunachal, where the tribes spread their houses far and wide, the Apatani dwellings are jammed close to each other -- to the outsider they might even appear as shanties. Till sometime back, there were seven Apatani villages packed into an almost circular area. But with increase in population over time, 12 villages jostle along a circular road at Ziro's outskirts. Many from the community have moved away to settle at Old Ziro town or adjoining Hapoli. These townships have become semi-urban ghettos. Like any other place in Arunachal Pradesh, the Apatani valley has also changed character rapidly. Be it demography, the economy, architecture or even cultural ethics, the Apatani today is in the throes of strong currents of change. But this is something I realise later. On this, the first day, as I make my way through the empty village, I have very little inkling of the awesome story I am already in the middle of. The Apatani heartland can be accessed easily, simply because there is a road leading right up to it -- quite unlike regions inhabited by other Arunachal communities where people have to trek long through mountains of thick evergreen forests to reach a village. Yet, it has taken me a while to reach Ziro. Having decided to report on the unique wet-rice system of the people of the valley, my first halt is a workshop in Guwahati, Assam. Organised by P S Ramakrishnan, professor at the School of Environmental Studies, Jawaharlal Nehru University, New Delhi, the meet intends to persuade unesco into declaring the Apatani valley as a World Heritage Site. I attend the gathering hoping to get acquainted with a large trove of knowledge on the Apatani systems. But my hopes are soon belied: apart from Ramakrishnan, who studied Apatani ecology in detail a few years ago, no other participant has worked in the region. My disappointment continues. I am told that there is barely any work on Apatani ecology -- in stark contrast to the huge repositories on tribal systems in India, west of West Bengal. I was hoping for a heap of knowledge, as against the uncertainties of the area I was venturing into. Now, I find myself unguarded, and panic even as the conference enters its second day. Then Ramakrishnan offers hope: he directs me to a young man sitting across on the conference table. He's making a documentary on the Apatani people, I am told. I have to befriend Moji Riba, this documentary maker from Itanagar at any cost, I conclude in a second. I pray he is an Apatani. But I am in for another panic attack soon: Moji announces with an insouciant smile that he doesn't understand ecology; I also realise he is not an Apatani but is from the Gallo tribe. It matters because I need an interpreter -- an interpreter of cultures and not a mere translator of languages. I trail Moji to Itanagar. Over the next ten days, a bio-data runs through my mind, whenever I meet a probable candidate: should be adept at Apatani language and English/Hindi, should have access to the people in the region and be accepted by them, should understand Apatani cultural practices, should know a bit of their ecology and must be well-conversant with Apatani agricultural practices. Above all, my interpreter should be able to translate any one of these idioms into another with ease. Idioms? Yes, Moji makes me realise soon that scientific interpretation of agriculture or the cultural interpretation of forestry practices are nothing but idioms. Whether I understand Apatani agricultural fields in terms of the gradient of their finely laid out irrigation channels or in terms of traditional tribal beliefs, I am merely interpreting facts into a form that a particular world understands. My world, I know, needs well-grounded science. I cannot find the ideal interpreter in one person. But I do find two friends who live an idiom each of Apatani life: Rubu Bukur, schoolteacher who has decided to stay back in Lempia village to document Apatani cultural and ecological traditions, and Mihing Dollo, an ecologist at the G B Pant Institute of Himalayan Environment and Development, Itanagar. They are childhood friends. Having met Dollo in Itanagar, I travel a bit assured that his friend in the valley shall be the guide I so desperately need. Over the next ten days, as Bukur takes me around the Apatani valley, the world of the community opens up to me -- just as warmly as the interpreter's friendship. They appear bemused: yet another person, camera belt around the neck, to contend with! But my Apatani interlocutors humour me as they chop up the larger logs. "It will be Myoko period soon. The entire valley will be whelmed in merry making for a month. No one works during that period. To make up, we collect wood in the month before that," says one without stopping his axe for a moment. " Myoko is the festival held before planting the seeds and their germination. It takes about 20 days to one month and the elders sit down to decide when we shall plant and then take them out of the nurseries to replant in the field. In between is the time of festivity," Dollo explains later when I am back in Itanagar. He plans to come back for the festival, almost everyone does. "The Apatani villages are divided in three groups and each group has its turn to hold the Myoko and invite the rest. No one can be refused and you show your prosperity by serving your guests. This time it's my village's turn," Bukur explains one day as he rides his scooter to school even while his 70-plus father makes his way to the forest to cut wood for the festival. 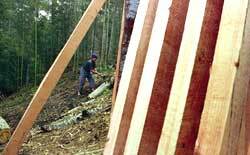 Where does so much wood come from? It comes from the forests the Apatani protect and use. Bukur explains the community's forest management system during one of our daily walks. The Apatanis demarcate their forests: there are private bamboo forests and there are private mixed forests, then there are clan forests as well as common forests. There are sacred groves too. The private forests and the clan mixed forests are very often dominated by the oak species Castanopsis indica. They also have the blue pine species Pinus wallichiana. Hotels in Ziro use the species to the hilt to sell the blue pine valley dream to the few who reach the town. But to the Apatani, it's the basis for life. There is enormous conjecture on how the blue pine reached the valley but today it's firmly rooted in the area's culture and economy. Wood is the only source of fuel and energy for the Apatanis. "We have limited areas under forests. However, except in a few areas, our forests have not degraded. So, sourcing wood has never been a problem," says Bukur. He then explains, "Keeping the forests intact requires constant work. We have to tend our seedlings and saplings, and replant at the first sight of open space, keeping the basic idea of silviculture in mind. The saplings from the deeper forests are transplanted into private groves in February or March. In January one can see the people walking around looking for the saplings in their forests as well." The Apatani methods appear quite simple on initial observation. But there is always a sense of plan to them. I ask Bukur: When exactly do they cut a particular tree? How do they do mixed planting? He has answers but finds it difficult to articulate them. It's inherited knowledge and can scarcely be expressed in formal conversation. "We do not rely on monocultures, other useful trees also find place in our scheme of things. The fruit-bearing ones are usually planted in March," my interpreter tells me. The Apatani have four fruit bearing species: cherry, peach, pear and a bitter tasting subspecies of apple. The odd trees the people leave untouched are the only real evidences of their efficiency. It looks random but the patterns in the spaces created in the forests are visually evident. "Well no one has yet looked at the 'ecology' of how we manage our trees," Bukur says, unable to word the logic yet again. But the logic of the bamboo species, colloquially known as Apatani bamboo and locally as bije, is clear. Bamboo is quite literally the pillar of Apatani society. The homesteads are built from bamboo and pinewood. Many bamboo varieties grow wild in the hills surrounding the valley. However, in their private groves, the Apatanis grow bije (Phyllostachys bambusoides). It's a medium-sized, straight-stemmed plant that stands up well to the region's frosty winters. Bije is not found in the surrounding areas, except where it is planted by some Nyishi communities. A study by R C Sundriyal and his colleagues at the G B Pant Institute of Himalayan Environment and Development, revealed that Apatanis use 9 bamboo and 3 cane species for constructing houses, for making fences and for firewood. 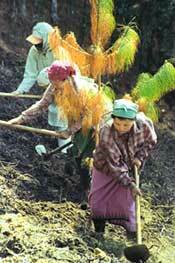 Sundriyal also notes that bije grown in the private groves provides for 90 per cent of the Apatani bamboo demands. The study showed that an absolutely new Apatani house requires 2,500-3,000 bamboo culms; it estimated that people in the valley required 391,400 bamboo culms for construction purposes, every year. The analysis also reckoned 472,204 bamboo culms were used for fencing every year, while 112,681 culms were used for making different products in rural settlements in the Apatani valley. These numbers initially appear staggering, specially because the valley's population is just 40,000. I then recollect Bukur's statement that his community has never needed to buy any of these resources from the markets. The country fares badly in comparison, importing wood by millions of tonnes. Are there things to learn here? This question resonates in my mind as I have dinner at Bukur's home. Ihave negotiated with Bukur to meet a variety of people -- politicians, gaonburahs (village council members), buliangs (traditional village elders), college students, the women who run the weaving cooperative, the first kiwi farmer in village Lempia. Bukur has figured out my intentions by now. So has Tage Bunyi, the 15-year-old daughter of Tage Tunku, a very active weaving cooperative member; one day she tags along with me. Bunyi studies in a boarding school in Harmoti, a township bordering Assam and Arunachal Pradesh. But she is now back home for Myoko. The youngster tells her friend: "No, he does not click any sunrise and sunset pictures from the hill top, always people and fields." Stung, I refocus on an omnipresent element of the landscape: fences. Each piece of property is fenced. Slashed at the top (they use the dao, a sword, for that) and then bound together, bamboo is used to partition everything: standing stocks of plants in a grove, pine forests, fields, houses, granaries and nurseries. After a while, the fences close in on me, like walls in a city. But the place requires it be so. Resources are scarce in the Apatani valley, a piece of land is invaluable. As Bukur's father, once a renowned hunter, says, "Each piece of agricultural land is cordoned so that we do not fight." The sense of property and ownership is immense. Is it this intensity that makes them squeeze every possible drop of energy out of the land? According to Ramakrishnan, for each joule of energy invested in an Apatani field, much more comes out as rice and other agricultural produce. The Apatanis effectively use irrigated land by planting early- and late-ripening varieties of rice. Villagers can recount six varieties of rice off-hand. Query on, and the older ones can come up with eight. But Dollo has collected proof of sixteen. Irrigation canals drawing water from streams in the valley feed each plot of meticulously terraced land. Water levels are controlled in plots -- with gradients as tiny as a few centimetres -- via bamboo tubes. Irrigating the flatter plain lands is more arduous: each drop of water has to be pulled as far as possible over an ever-decreasing gradient, through manually dug canals with bamboo scaffoldings. The canal walls are held together by plant varieties such as Eleusine coracana, which bind the soil and also provide end-season leafy vegetables. Every inch of the canal bund is used intensively. This demands maintenance. People get down to it right after the rice is harvested. The community collectively maintains canals till the feeder points; individuals tend them near their fields. If the canal requires careful maintenance, the intensively used soil needs extra nutrients. But the Apatani has it all worked out, almost magically. Huge volumes of biomass, from the mixed-oak forest on mountain tops, are source of nutrients at one end. At the other, houses with piggeries supply recycled waste. The two create a graded system of soil fertility, with nutrient-rich plots closer to the village and nutrient-poor ones consigned to the middle of the fields. With dozens of vegetables as well as wet-rice feeding of it, one might think the land gets squeezed to its limit. But the Apatanis also turn their agricultural fields into fishponds. Fish culture -- usually that of the common carp -- in plots closer to the village synchronises well with the late-ripening rice variety. The ponds are managed as meticulously as the irrigation canals. It's tricky business: too much water in a plot and the standing crop would be destroyed; too little, and the fish won't survive. The balance is crucial. The fish seeds are introduced when the water is nutrient-rich enough. A trade-off occurs. Also, the fish must share nutrients in the water with the paddy: so fish seedling numbers have to be carefully calculated. The result of all this? The energy efficiency of the Apatani agroecosystem is around 60 to 80 joules per joule of input. Green Revolution agriculture fares dismally in comparison: it gives less than a joule for every joule of input. The valley's energy input-output ratio is also considerably higher than that of other traditional mountain systems in the region. There, the value is in the range of 9-50 joules, writes Ramakrishnan. The range of ecological dynamics the Apatani manage could make a professional ecologist tizzy. But even more mind-boggling is the range of socio-political dynamics that the people of the valley deal with and yet remain distinct. Till a few decades back, the Apatani valley was cut off from the rest of the world. They did deal with tribes uphill and the people downhill but their world was restricted. Austrian anthropologist Christoph von Furer Haimendorf, a frequent visitor to the valley, writes: "In early 1944, the influence of government reached no further than a few miles beyond the inner line (the official line beyond which outsiders have to take permits to enter the Apatani valley). The Apatani... had no contact with government officials. By May 1945, the picture had completely changed... . The government...trade depot had... brought Indian goods into the heart of the Apatani country". Today, many aspects of Apatani life have transformed completely. Inside the valley, the youth talk optimistically of their fellow tribals who are thriving in other parts of the country. They wax eloquent about the select few who have made their fortunes abroad. It is easy for me to spout anthropologically and describe the Apatanis as enterprising. Let's avoid that. But one cannot avoid noticing the tin roofs all over the Apatani valley. All representations talk of bamboo hay roofs. None exist. Any time a village burns down (village fires are quite frequent), more tin roofs come up. The government provides subsidised corrugated tin sheets. It also builds cement-walled canals along the banks of the rivulet that flows through the valley. "It has, after all, decided to help us," Bukur says, a little exasperated. He is exasperated because I don't understand his sentiments. "If the government builds a canal for the people, is that not perfect?" I ask Bukur. He puts my aspersions to rest, immediately: "Yes, the government does build canals. In a couple of years, the cement begins to crack leaving chunks of hard stone and mortar structures. We cannot rebuild the canal with our hands and bamboo after that. The canal simply dies." His village has suffered this ignominy before. So he knows. Other villages, he fears, will learn their lesson the hard way. Other experiments have also gone awry. The government, in right earnest, introduced the grass carp two years back. The fish replaced the common carp bred in the wet-rice ponds. The grass carp, once it ate up all the nutrients in the water, ate up the paddy roots as well. So, the people reverted to the common carp, next year. Government schemes are actually a mixed bag the Apatani have to live with and adapt to. Health facilities in the valley have improved, relatively. Education is a serious pursuit for everyone. As their world connects with the rest, the younger generation is trying out new things, looking for new opportunities. Some of them have taken to horticulture. A few others have started growing kiwi fruit. But there is no market, today, for the new Apatani products. This hasn't deterred the Apatani youth: they continue with their experiments in the hope of cash, and the attendant mobility. Some Apatani youngsters have received education and migrated out to Itanagar, even further. They usually get government jobs. The fields and groves are left untended. Bukur believes that this is the biggest challenge before Apatani society. Tage Hormi, the head gaonbura of Lempia, says, "Many of us have gone out. So, we get labour or let others tend our lands. If this trend continues our system shall be under stress. We used to hold the Myoko when the seed germinated. But this year, we had to change the schedule to enable our people outside the valley to take leave and attend the festival". Dollo believes the system can take the strain of migration for many years to come. He is more wary of people taking too easily to horticulture. "People do not realise that if they clear forests for horticulture the run off from the mountains will decrease, erosion will increase and the nutrient flow to the fields will reduce. Our agriculture shall suffer." Bukur, who works at preserving existing traditions, is worried about the loss of knowledge. "Earlier, we extracted colours from plants for our woven clothes. Today we have forgotten the designs as well as our plants. Taxus bacatta used to grow in our traditional hunting grounds. Then the area was declared a sanctuary without our permission. Today the Talle Valley sanctuary stands there. Nothing is left of the plant, because it has been extracted for use for cancer treatment abroad. We did steal some saplings to try and grow them in our fields. Some day we might be able to regenerate them." After watching markets toy with many other societies, one might resign the Apatani to fate and economics. But I see Dollo and Bukur also trying hard to keep the structure and strengths of their culture intact. And that makes me wonder: Does this valley need to be declared a unesco heritage site? Or should we sit back and watch it take the world on, on its own terms? I come back to Itanagar thinking this is one battle that just might be won. But when I go back to the Apatani valley, I hope to see the blue pine still standing and the canals still gushing. That, I acknowledge, is a visitor's perspective, not Bukur's or Dollo's. ptr offers an array of ecotourism programmes -- from the Periyar Tiger Trail and jungle rafting for the adventurous to nature walks for just about anybody. "I have been to Sariska and Ranthambore where the only activity is a jeep ride. The range of activities in the park here are far more and Rs 150 (the entry fee for foreigners; domestic tourists pay Rs 12) is not much. In London, I would not even get a cup of coffee for 2 (us$3.48)," says Lucy Curry from England, who is on her fourth visit to India. There has been a steady increase in the number of tourists to ptr over the years with the number peaking at 456,279 (432,396 domestic and 23,883 foreigners) in 1998, the same year that village edcs were formed. In 2004-2005, as many as 37,150 foreign tourists visited ptr, which generates a revenue of Rs 70-80 lakh from entry fees and boat rides alone. Among the most popular ecotourism activities at ptr is nature walks organised by the Tribal Trekkers edc. 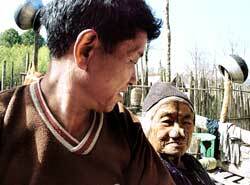 Its members are young people from tribes, such as the Mannas and the Paliyans, living in settlements on the fringes of ptr. These men have a good knowledge of the terrain, flora and fauna. The edc has more than Rs 4 lakh in its cdf even after giving a loan of Rs 2 lakh to other edcs. "Our edc has run well even after the end of the World Bank project in 2004," says one of the trekkers. Following the introduction of ecotourism activities at ptr, hotels in Thekaddy have seen a marked increase in the duration of stay by tourists. All hotel brochures now prominently list the ecotourism programmes. "The average room revenue used to be less than Rs 1,000 per day and now is it is Rs 5,000. The occupancy rate has also gone up," says Anil Kumar, general manager of Spice Village, a luxury hotel. Owing to the greater tourist influx, the small town of Kumily has not only seen a sharp increase in the number of hotels but also home stays. In recent years, many residents have constructed more rooms in their houses to rent them out to tourists. There are almost 40 home stays in Thekaddy now. "While earlier tourism did not bring us any income, now we find with improved infrastructure it is bringing us revenue," says T N Sashi, president of the Home Stay Association. He says during the tourist season he lets out his rooms between Rs 600 and Rs 1,200 and off-season rates vary from Rs 400 to Rs 800. Sashi's school going daughter Anila often accompanies guests on tours around Thekaddy and is as good a guide as any. She has a large collection of coins and stamps from across the world -- gifts from tourists. "We don't travel so we learn about different people and cultures sitting right here in Thekady," she laughs. A novelty that is becoming a big attraction with tourists is the spice gardens. George Abraham is the owner of one such garden where he grows a variety of spices and medicinal plants. "I have invested at least Rs 1 lakh in it, the returns are dependent on the tourist season but on an average I make Rs 1.5 lakhs," he says. Tour operators bring visitors who are charged Rs 50 for a tour of the garden that takes around an hour. But all's not well with many of the edcs behind the success of the ecotourism programmes at ptr. For instance, take the case Tribal Trekkers. Being one of the professional group edcs, forest protection is one of their avowed goals. As per their agreement with ptr, they were required to contribute their services to night patrolling for three months in a year. But now they are being involved with protection activities daily. Another professional group edc, the Periyar Samrakshna, used to be paid Rs 1,500 by fd for forest protection duties 12 days a month. "We have not been paid for three months now. If we do not go for protection duty for a few days because of ill-health, our salary is cut and we face suspension. "As if this is not enough, there is even talk of our group being disbanded," says a member of the edc on condition of anonymity. Many edc members feel the behaviour of ptr personnel changed with the iedp coming to an end a year ago. "Earlier, we were respected since they wanted the World Bank funds. Now, since the programme has become a success, we have no power," laments Jayan Ponnapan, a tribal trekker. Perched on a hill in the western division of ptr and surrounded by evergreen forests is Sabrimala, the shrine of Hindu deity Lord Ayappa, which draws five million pilgrims annually. The most propitious time to visit the shrine is the Makkaravalaku season, which begins mid-November and lasts about 60 days. Besides this, the shrine is open for devotees the first five days of every month and during festivals celebrated in Kerala. Till a few years ago, the pilgrim rush used to pose a huge challenge to the fd: hundreds of shops would mushroom along the routes, tonnes of firewood cut from the forests and the hills littered with plastic wrappers and bags. The villagers would complain of high pollution in the river Pampa, where all devotees used to bathe before proceeding on the pilgrimage. The powerful Temple Devasom Board used to auction shops along the major routes -- Azhuthakadavu-Pamba, Sanyadhanam-Uppupara and Pamba-Sannidhanam -- to bidders from outside the region. Those who won the bids for the shops further sublet them at exorbitant rates. The shops were constructed with bamboo taken from the forest and their huge firewood requirement adversely impacted the ecology of ptr. In 1998, fd decided to involve the local community in catering to the pilgrims with the formation of Swami Ayyappan Poongavanam Punarudharana Ecodevelopment Committees (sapp-edcs). 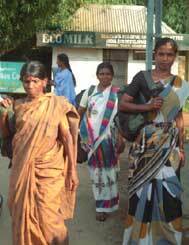 Rights of setting up stores for pilgrim needs along two routes -- Azhuthakadavu-Pamba and Sanyadhanam-Uppupara -- were granted to sapp groups. fd advanced Rs one crore from the iedp fund to sapp-edcs to purchase utensils and procure lpg for cooking. Now, only about 250 service centres operate here. The stores are set up with the use of steel rods. 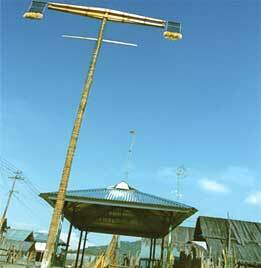 Sometimes bamboo poles and plastic sheets are also used for roofs. The sapp-edc s now want access to the 4 km long Pampa-Sanidanam route, which remains in the hands of the Devasom Board. Meanwhile, an impact study of these changes carried out by fd shows reduction of the ill effects on the forest along the routes, which have regenerated and become lush. Not only the pilgrims but even the villagers living in and around Thekaddy have seen many positive changes since 1998. The villagers say before the iedp, they depended on the forest for firewood, thatching grass for their own use and for sale. Illicit smuggling of vayana was common as was poaching of bison, buffalo and small game. "Earlier we were scared of the forest department as they restricted our entry into the forest," says Jose Elavankul, chairperson of the village edc of Kurushumala. The ex- vayana bark collectors edc typify the changed relation fringe communities have developed with the forest. ptr has become a source of legitimate livelihood for several other edcs. Tribal villagers can access their basic needs such as fuelwood or fishing without any hinderance. "We no longer have to fear the men in khaki," says a village woman. The iedp implementation at ptr went beyond the goals of the project to permit the fringe community access to forest and non-timber forest produce, says Krishnan of Project Tiger. "We had to go beyond the project and involve the people and that is where we have been successful," he adds. After the focus on protected areas (pa), foresters here are looking at how to take conservation further to the landscapes beyond. Linking the pa with landscape would involve dealing with livelihood concerns of the people in the development zones. "Any development should have the ethos of sustainability. Converting threats into opportunities has been the strategy at ptr," says field director Anil Bhardwaj. While community empowerment has been ptr's success, classical wildlife management appears to have been neglected. 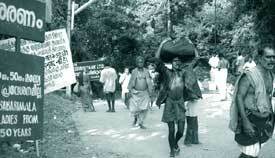 Protection of forests outside the pa, especially in the Kallakad-Periyar area, remains weak. "Male tigers have a migratory route. Though they are safe in ptr, what is the use if they are killed outside," quips Rajesh Gopal, director, Project Tiger. Community empowerment at other wildlife reserves in the country would perhaps require other techniques to be evolved kepping in mind their peculiar conditions. But what the Periyar experience has shown is that looking inwards at the forest to create economies and bringing people and parks closer can make a big difference.